Before the Halloween decorations are even taken down, retailers and shoppers will begin their preparations for the 2018 Holiday season. In fact, 34.4% of consumers said they plan on starting their shopping before Thanksgiving this year, while another 28.6% of shoppers plan to do their shopping over Thanksgiving weekend, according to a new survey from JLL Retail. Fewer shoppers, 16.9% down from 18.3% in 2017 are waiting until just two weeks before Christmas to start their shopping. Additionally, the firm disclosed its forecast for holiday retail sales expectations of 4.5-5%. Retailers with a physical presence will see a 57.3% share when it comes to where consumers plan to complete the majority of their purchases – either shopping directly in-store (31.7%), buying online and then picking up their purchase in the store (15.2%), or buying directly from the retailer’s website (10.4%). The biggest jump in habits this year will be consumers desire to shop via their mobile devices, with just over half (50.3%) indicating they will make at least one purchase from their phones. This is a huge jump from last year when only 22.2% indicated they would do so. JLL’s 2018 Holiday Shopping Survey found key differences in purchasing patterns among men and women, generations, and income levels. Consumers are spending more this year, with 44.4% indicating that they plan to spend over $500 dollars on gifts this holiday season. Interestingly, men plan on spending more money than women, with 30.6% of men saying they will spend more than $750 dollars while only 26% women indicated they would do the same. Comparatively, women (44.4%) indicated that they would have more moderate budgets, in the $250 to $750 range, compared to men (36.8%) with a similar budget. 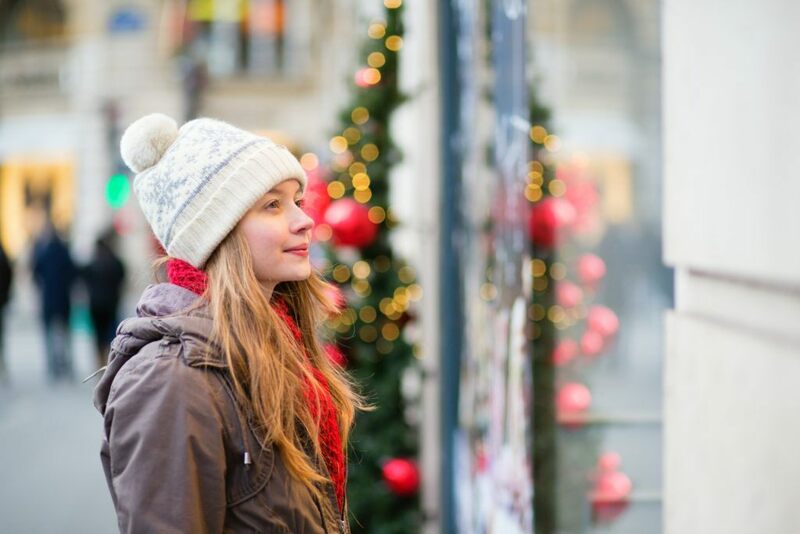 JLL’s research found that the top five retailers where consumers plan to shop at this holiday season are a true mix of digital and physical brands, further underscoring the trend of a blurring of the lines between physical and digital retail. While the top three retailers remain the same across all demographics, the fourth and fifth choices differ in a few key demographics. For example, lower income customers planned on shopping at JC Penney more than other groups, while Kohl’s was a popular choice amongst women and younger Millennials (age 18-24). As cell phones become more widespread across all demographics, mobile devices will play an important role this holiday season. The number of shoppers making purchases on mobile will double compared to last year (50.3% vs. 22.2%). Shoppers also indicated that they would use their mobile device to look for deals and discounts (39.1%), product reviews (34.5%), get inspiration for gifts (30.0%), and check physical store inventory (21.9%) before heading to the store. Interestingly Gen X shoppers are more likely to use their phones to make online orders compared to other age groups. Boomers are the most likely to check product reviews on their phones prior to purchase. As the multichannel shopping experience continues to grow, brick and mortar retail locations are taking on new roles in the holiday shopping process. According to the survey, a little less than half of holiday shoppers will do most of their purchases online, but many of those buying online will still head to the store for some of their shopping. Interestingly, the two most popular categories for physical retailers are discount stores (26.8% of shoppers) and department stores (21.1% of shoppers). Industrial real estate also plays a big role as both digital and physical retailers look to reduce costs by keeping inventory in one central warehouse location. Department and discount stores are popular choices among female shoppers this holiday season (22.9% and 13.1% respectively). But the most surprising statistic is that 33.3% of young millennial women indicated that they would be doing most of their holiday shopping at a department store, while Boomer women (17.4%) will visit discount stores this holiday season. Comparatively, men will be visiting electronics (8.8% to 3.1%) and jewelry stores (2.5% to 0.6%) more than women this holiday season. In order to get a more thorough insight into consumer plans and sentiments for the holidays, JLL surveyed 1,000 U.S. consumers online from October 3 – 5, 2018.